Reading through the 30DC questions, some write in for a kick and others for a cuddle. I am always happy to supply either – or both! Let’s talk about cuddling first. I trained once (and briefly) to teach shorthand. 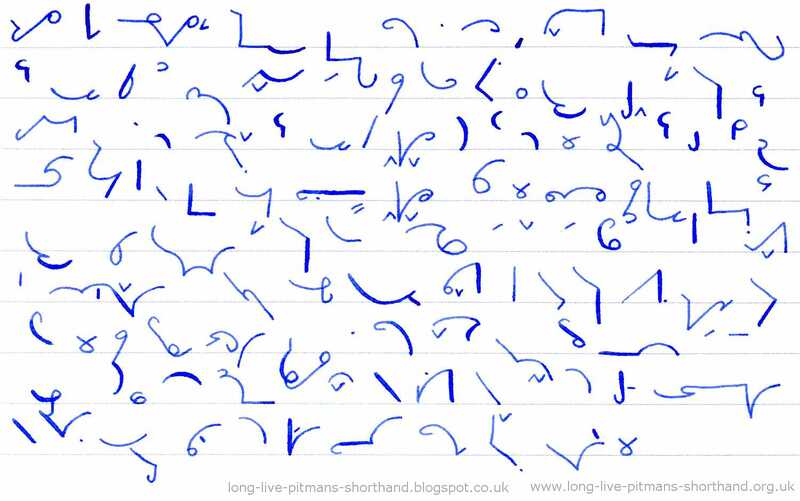 I love Pitman shorthand, it is gorgeous and beautiful in every way and I used to be able to take dictation at 120 words a minute, way back in the Seventies. I regret I have lost this skill. I do still use the odd bit now and again, but I am so rusty its quicker to write in longhand. I like to think I could get back up to speed quite quickly though, as I was drilled in it for a year in 1972/3. But I digress (as per). When I was training to teach it, they – the teachers teaching me to teach – said I was too nice to the students, I cuddled them too much. And some would say I do that to my clients too. I do cuddle a lot. I offer warm reassurance on the stuff they do well, the stuff they tend to take for granted about themselves and I am kind and understanding when clients fail or under-perform. I am a soft place to fall. I also big them up, so they believe they can go off and do it. Some would say this is worthless because I am paid to be nice to people. Thank you for your opinion. That’s not the way I see it, fortunately. If they have done badly I don’t rub it in, but I don’t congratulate them on it either. I speak as I find. They don’t call me The Iron Fist in The Velvet Glove for nothing. Typically, under-confident clients think I am just being nice. They are not used to people saying nice things to them and believing in them. Why would they be? They don’t yet believe in themselves. So the cuddling has to be quite assertively offered. I have to remind clients that even if we’ve just met, they already know I am a straight talker – even after only45 minutes – and I wouldn’t be cuddling them if I wasn’t fully aligned with the appreciative feedback I am giving to them, and were it not my truthful assessment from my vantage point of their business, their gift. So, how about the kicking then? Kicking opportunities fall into two distinct categories – the first is when the clients asks for it, and the second is when they exasperate me so much I can’t help myself. Fortunately it is almost exclusively the former, but just don’t push it, eh? The 30DCers are asking for a kick up the bum (their words) when they haven’t done anything for a few days or even longer. What causes that? Analysis paralysis. Busyness. Life. Lack of self-belief. Fear. Self-sabotage. Overwhelm. Indecision. Labelling themselves a Scanner and” that’s-just-how-it-is-for-us-Scanners, I’ve-thought-of-a-better-idea-so-soon-already”. This isn’t the right time. I don’t think I can do this. I wish I’d never started. I’ve run out of money. I’m frightened of XYZ. Fear of success. Fear of failure. I’m not good enough. I can’t see how I’m going to do this. It’s not working. Nobody wants me, everybody hates me, I think I’ll go and eat worms. Most of these are not right for a kicking either, to be honest with you. Most of these are better off with a bit of reasoned logic, some curious exploration and a dollop of loving kindness. Laziness and indecision are the only things which need a kicking, the former quite a big kick, the latter much smaller. Anyone showing up with an outright and honest “I’ve got no excuse” might also qualify for a kicking. Possibly. Exasperation comes when I’ve exhausted everything in my toolbox and I just have to shout say “I thought you said you wanted this?”. Because if you don’t want it or want it enough, I’m not sure precisely what you expect me to do about it. I’d probably give it a go, I’m a nice girl, remember? But when it comes right down to the wire… you’ve just got to want it. You do want it, don’t you?